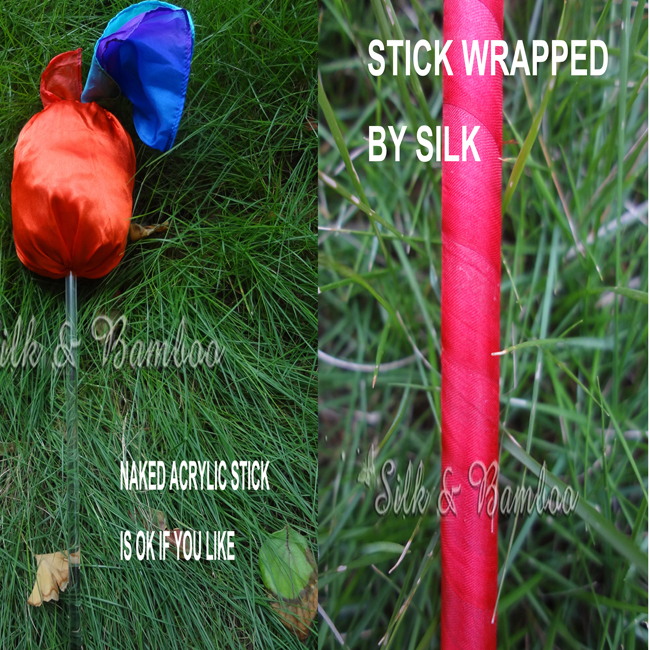 1~Acrylic stick 38cm long, 1cm diameter, wrapped with silk or not. 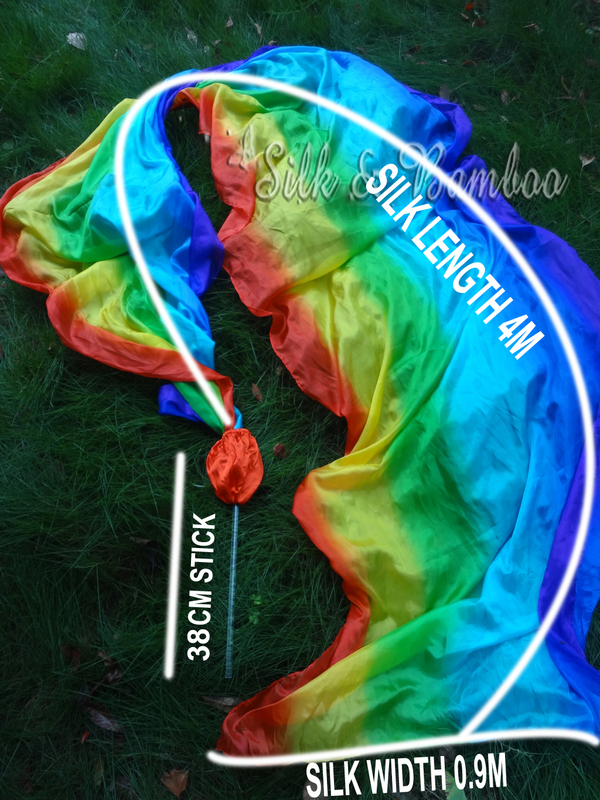 2~Silk fabric 90cm (or 56cm) wide, 4m (or 2.5m) long. 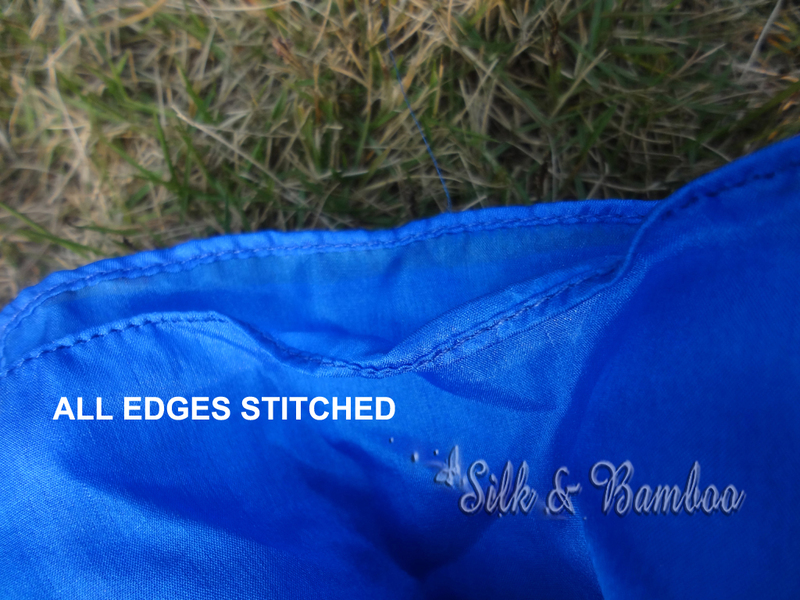 All sides stitched. 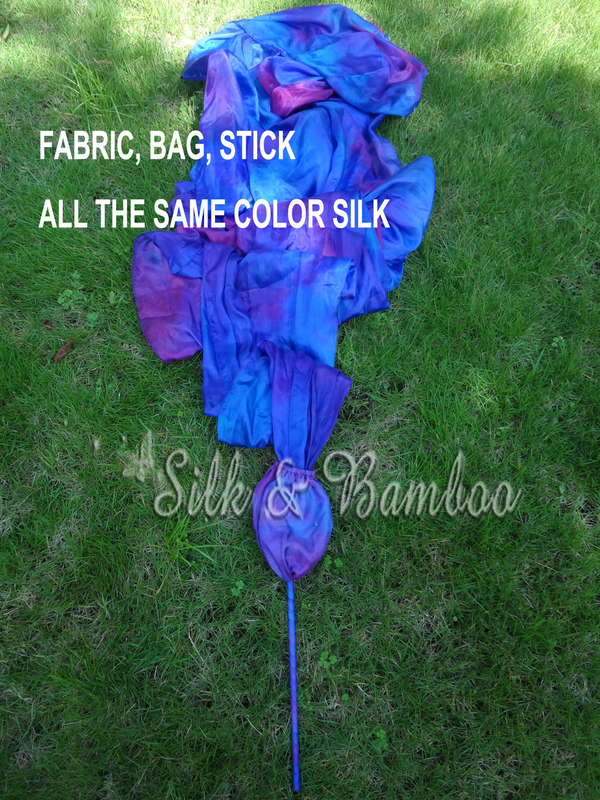 3~Bag on the stick to wrap the silk fabric. 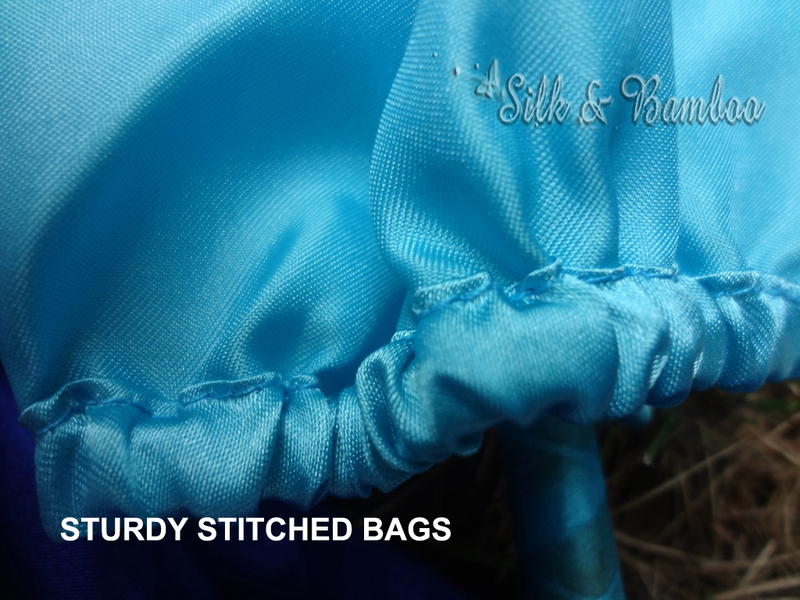 We try to make the bags and stick the same color as the fabric. Even though sometimes we cannot find the right color bag. 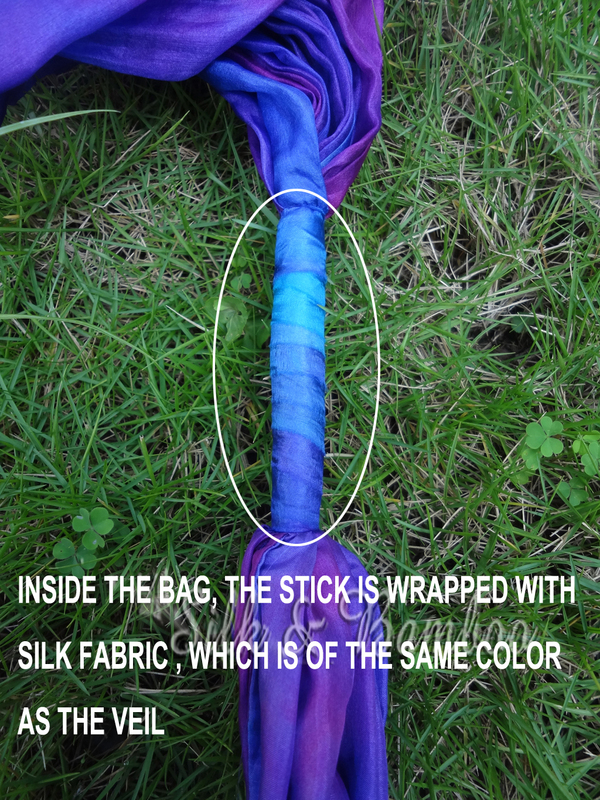 The stick inside the bag is also wrapped with silk in the same color as the fabric.